Harris Tweed Herringbone Case for iPhone 5/5s, brown | Qompu™ | technology. Nothing else looks or feels like Harris Tweed. The fabric comes from only one place on earth: the islands of the Outer Hebrides off the coast of Scotland, spun, dyed and hand woven by individual weavers in their homes. 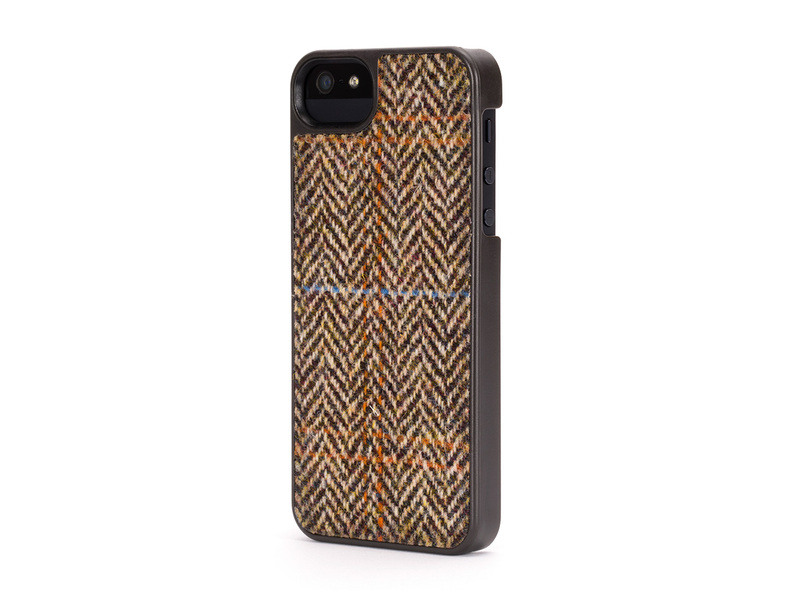 And now you can wear genuine Harris Tweed on your iPhone, on a protective hard shell case from Griffin. Underneath the fabric, protective polycarbonate protects against impact. Griffin’s Harris Tweed case is decorative protection second to none, with the classic look and feel of real Harris Tweed that never goes out of style. Price: $ 39.99 Read More and Buy it here!